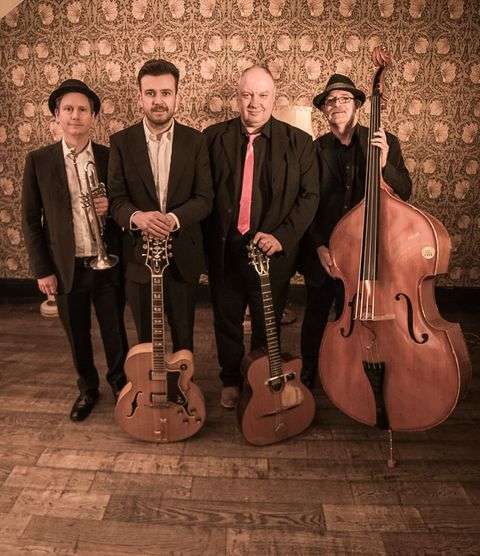 Swing Gitan Uk are a scintillating gypsy jazz quartet from the East Midlands who play the classic swing hits from the famous great Gatsby/prohibition era!!!! Their sound encapsulates the pulsating energy of the gypsy guitar style mixed with charming vocal lines and infectious Trumpet solos. The band have a superb reputation as a consistently professional, highly entertaining outfit who can perform for all ages and put on a show to suit all occasions. They are guaranteed to get your toes tapping! 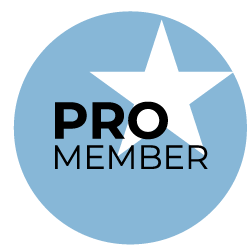 Don't forget to check out our videos and audio links. 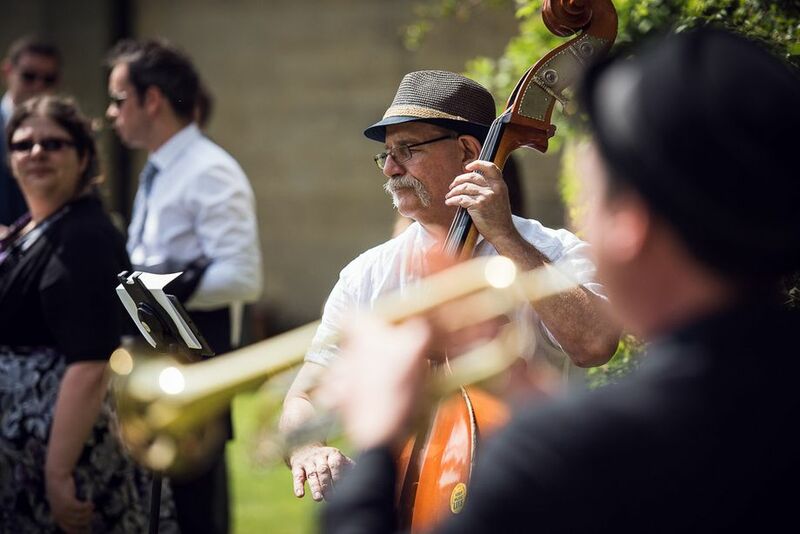 Available to hire as a trio, quartet or a quintet which includes Clarinet or Saxophone. Seeking festivals, Weddings, Swing workshops, Birthday parties, University balls, support slots, headline slots, Restaurant gigs, pubs and Garden parties. 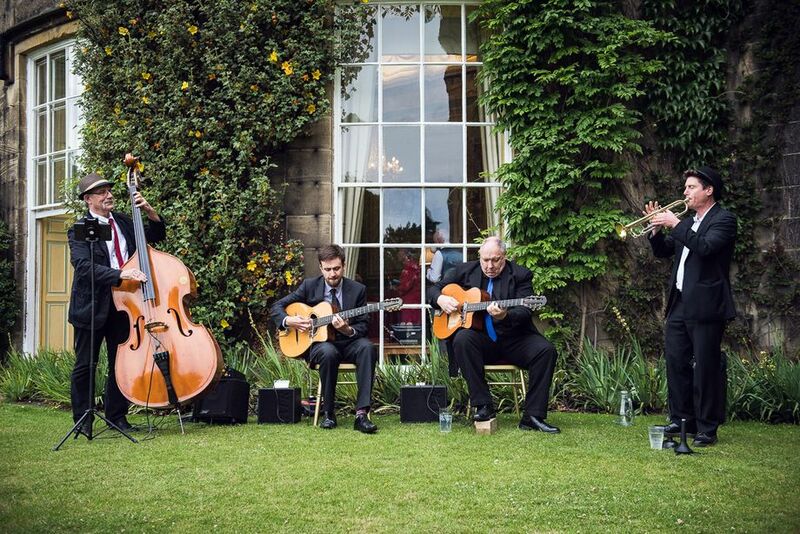 For our recent black tie function, we have Swing Gitan a go, and we're really happy that we did. They went above and beyond the call of duty and were terrific and totally professional throughout. Whether people wanted to sit and listen to the music being played, or get up and dance themselves, the band created an incredible mood. We'd love to book you guys again, having seen how you made our evening! 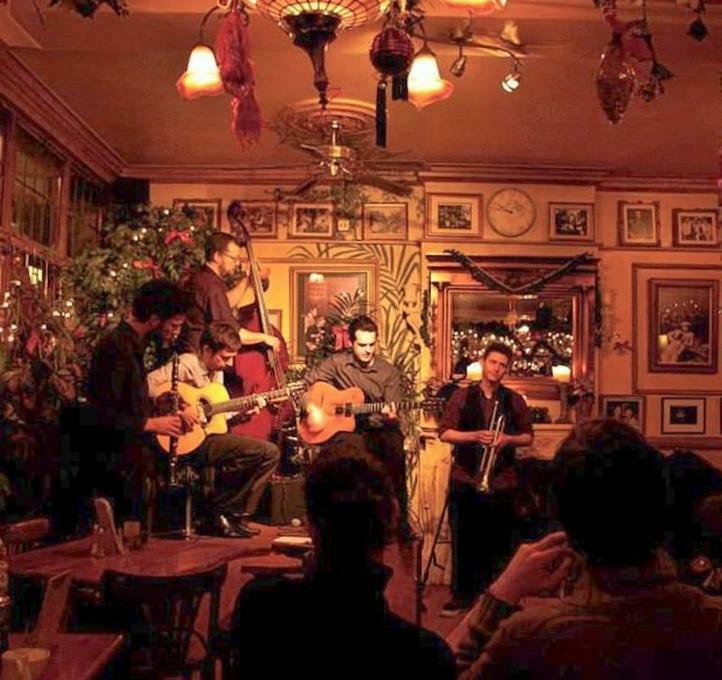 Swing Gitan have been playing at our venue for several years now. Whether they are in a duo, trio or quartet, the performance always makes for a great night. 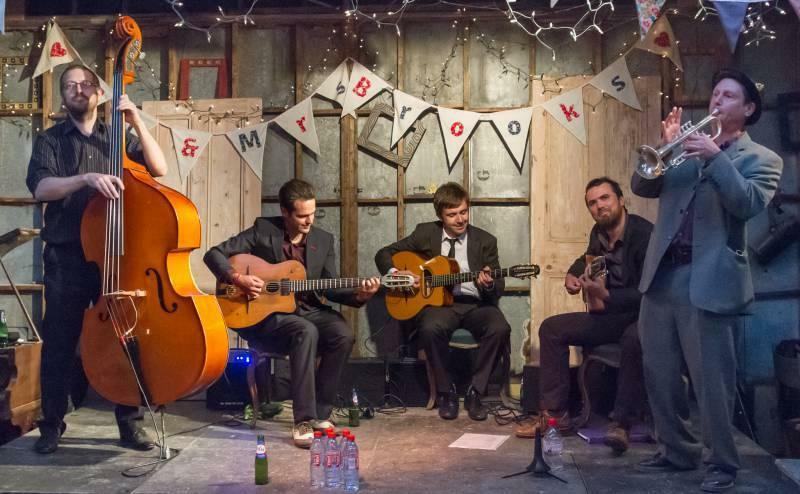 Their ‘gypsy jazz’ style is unique in Nottingham and always brings in a big crowd. Each member of the band are incredibly talented on stage and a pleasure to host both during and outside of the set performances. A multitude of different weddings and parties and our local bars/restaurants including: Nottingham playhouse, Contemporary arts centre, Nanpantan hall (Leicestershire), Principal hotel (Manchester), Le quecumbar (London), Lowdhams motorhomes, Royal Holloway university, Nottingham Trent university, the pelican club (Italian restaurant), hand and heart, round house, Pillar box (Gin Parlour). We can provide up to 3 hours worth of music. Over a 2 x 45 minute set performance or even 2 x 1 hour sets we would expect to take 15 minutes in between. We are happy to provide requests with proper notice. 5 meters across and 3 meters deep. We accept BACS, cash, cheque. Birthday parties, festivals, weddings, anniversaries, dance workshops, vintage themed events. Compact, easy to manage, portable, non intrusive. Performing in a vintage, travelling circus tent nearly 100 years old. 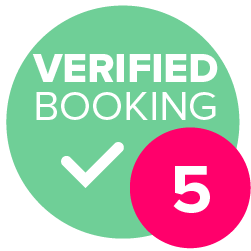 Outstanding, professional, entertaining and hassle free!